How do you keep the City's streets clean with less money? Maybe eliminate street cleaning all together is a start. But that won't help the cash strapped city desperately looking to generate revenue. An annual audit of the cleanliness of San Francisco's streets found the City's seemingly endless maze of pavement has more trash than last year in commercial areas and stayed about the same in residential neighborhoods despite a reduction in street sweeping. Officials told the San Francisco Examiner that they expected residential streets to maintain their previous level of cleanliness despite less street cleaning. 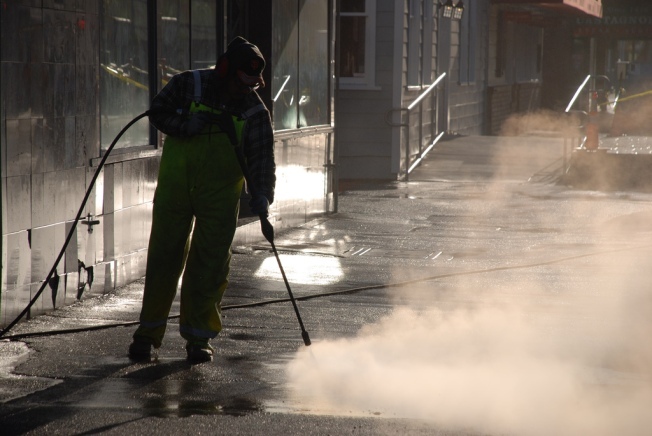 The study finds that while residential streets may not need street cleaning, San Francisco's busiest commercial corridors could use some more love from water shooting trucks. So what are the City's grimiest streets? Mission, Stockton, Third and Geary streets.